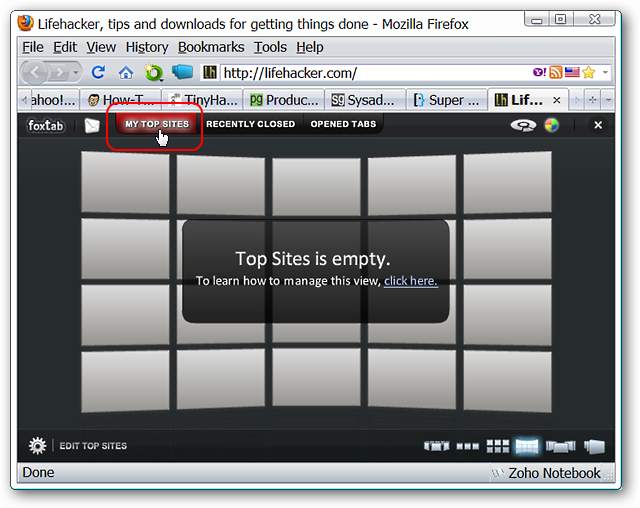 Are you tired of the default tab switching style in Firefox? 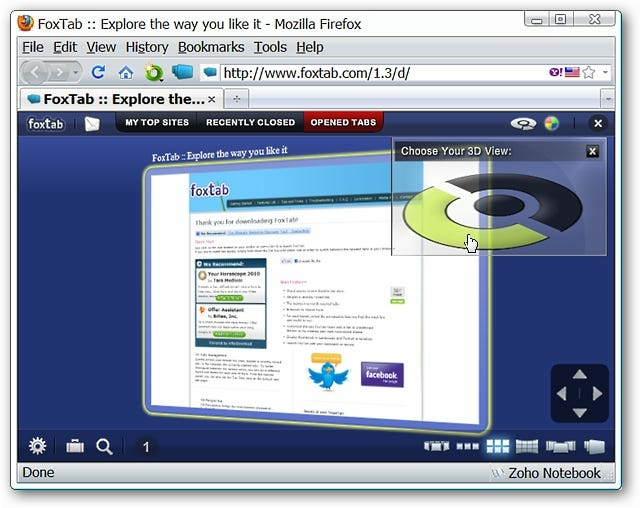 Then get ready to enjoy a more visually pleasing 3D experience with the FoxTab extension. 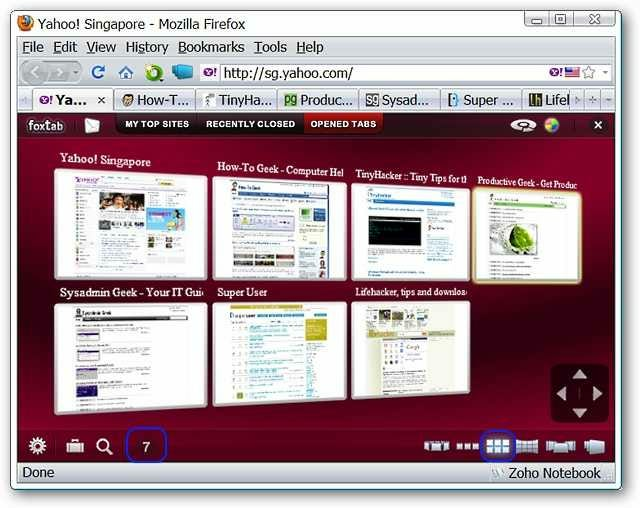 As soon as you have the extension installed, you will see a new toolbar button available beside the address bar. 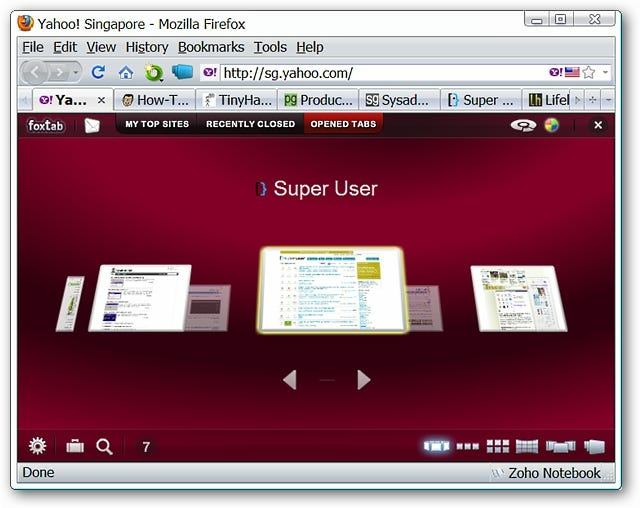 Before going further you may want to look through the viewing styles available in the lower right corner. 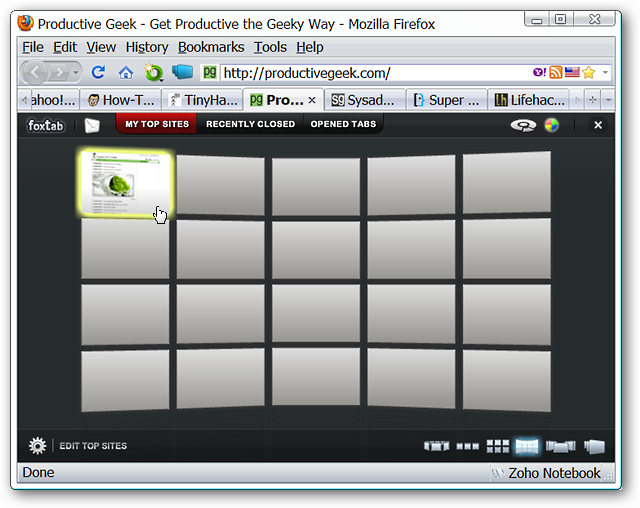 Note: You can choose to have the FoxTab button appear in the status bar if preferred or use the keyboard (i.e. 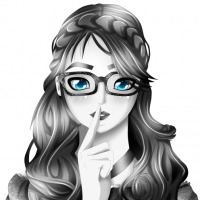 F12) by itself to launch FoxTab. 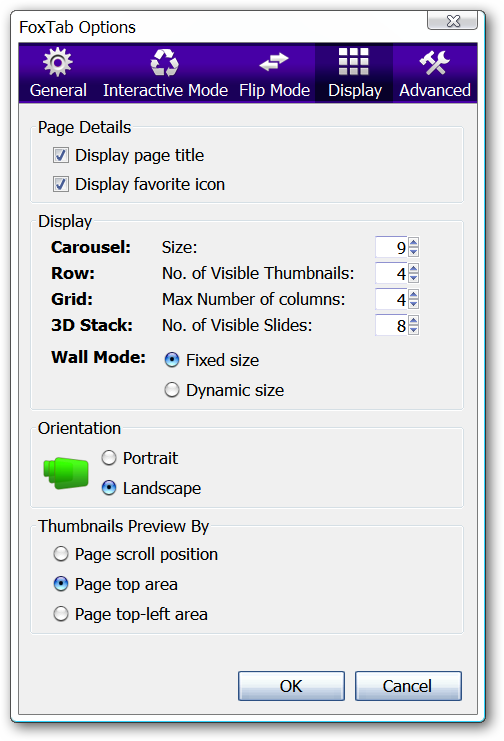 The grid view with an angled 3D setting. The page flow view with a more frontal look. 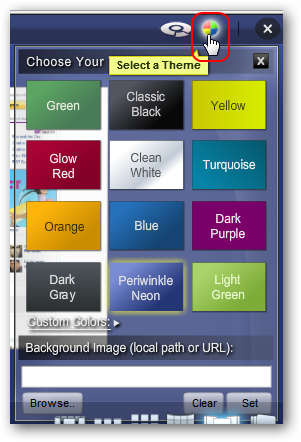 If the default background color is not to your liking then you can easily change to a new color or insert a background image. After choosing a new background color, making a few adjustments in the options, and opening more tabs things look very nice using the grid viewing style. Followed by the carousel viewing style. And finally the wall viewing style. 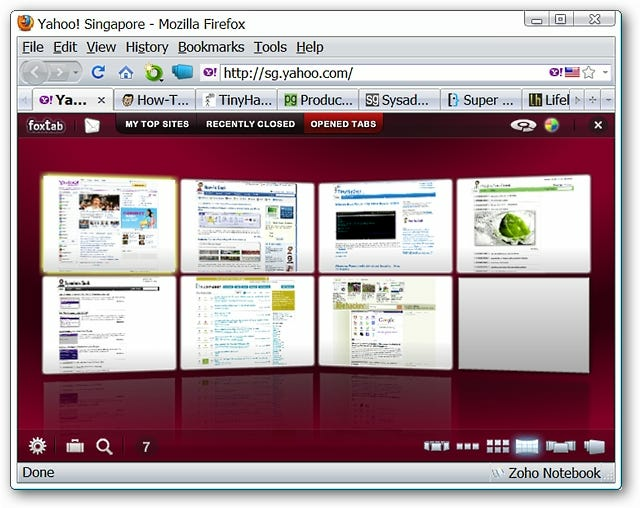 You can also set up a top sites page using your favorite viewing style. 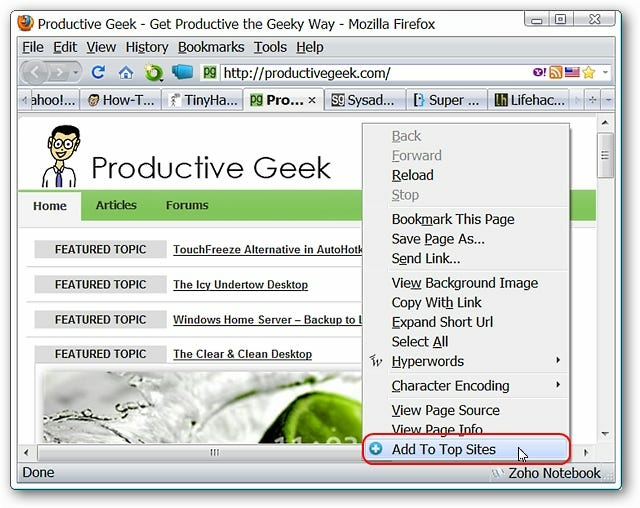 To add a page to the top sites group right click within the webpage and select Add To Top Sites. Just like that your new selection is added in. Keep in mind that we were not able to move/switch positions in the grid during our tests. 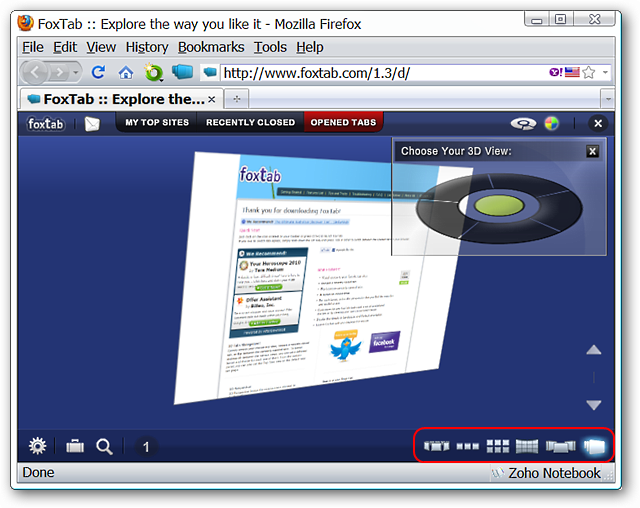 The extension has plenty of options and settings to help you customize FoxTab to your liking. 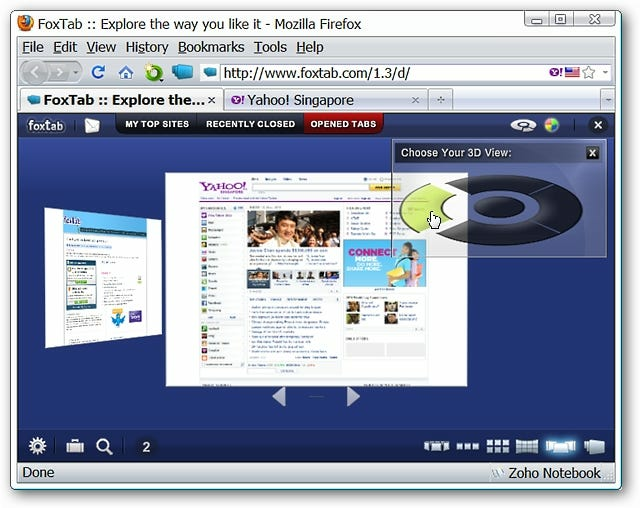 FoxTab adds visually pleasing 3D tab switching to Firefox for anyone who loves eye candy and a touch of fun while browsing.